Every AutoCAD drawing can use one type of plot style table. When you create a new drawing the plot style table is also defined. 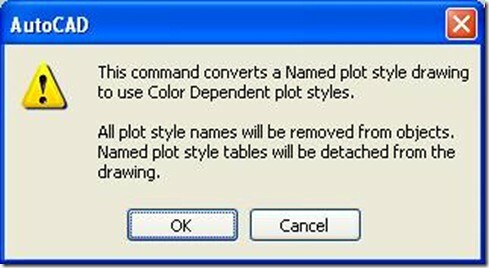 The type of plot style depends on the template file that you use or the settings of Options dialog box.